GWERU – Bulawayo High Court Judge, Justice Thompson Mabhikwa has lashed out at magistrates who release all suspects and sundry for over-detention without the slightest consideration of the gravity of the crime committed. Justice Mabhikwa said releasing any and every suspect simply because they have been detained beyond the 48 hours prescribed by the law frustrated and confused the Police who would have spent months or even years looking for a suspect only for the same to be released without trial. He said Section 50 (3) of the Constitution is either misinterpreted or abused by magistrates. 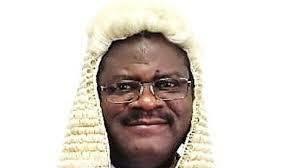 Justice Mabhikwa who was opening the 2019 High Court Circuit in Gweru said it’s better not to release over-detained criminals facing serious charges. In any case the over-detained suspects have an avenue to sue if they are over detained, said Mabhikwa. His remarks come soon after a ruling last year in which a Gweru Pilot Tashinga Musonza (29) who allegedly killed a prominent lawyer Lucy Duve (32) who was his lover was released by magistrate Thomas Gurajena for over detention. The case caused uproar with demonstrations by human rights and women organisations rocking the city. The opening of the High Court Circuit was attended by lawyers, magistrates, captains of industry and stakeholders. “I have always held the view that quite often section 50 (3) of the Constitution is either abused or misinterpreted. “Imagine the Police working hard to apprehend a suspect accused of having committed a heinous crime, arresting him at times after months. The suspect is taken to court and immediately released, allegedly in accordance with section 50 (3), leaving the Police completely bewildered and pondering what the suspect may do next. The court has a duty to make a short enquiry and direct the prosecution to investigate and make sure who ever over detained a suspect is held to account. Meanwhile, the Gweru Circuit Court will be sitting for the next two weeks to hear 17 murder cases where three suspects are women and 14 are men and half of the men are being accused of killing women.